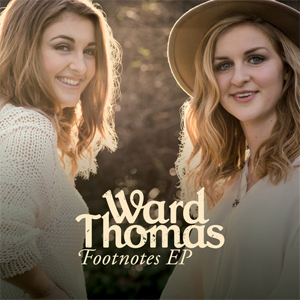 Ward Thomas are a Country/Americana duo who come from somewhere not really known as a hotbed of Country music - Hampshire. The duo are twin sisters Lizzy and Catherine Ward Thomas. Next up is "Footnotes (happy ending)", a song that has more of a Country feel, particularly from the guitar work. It's a nice upbeat track (as you'd expect from the title) with some lovely vocals. Next we have "Take that train". It's another great track and some nice songwriting with the lyrics telling a story. The last track is a cover of the Dougie MacLean song "Caledonia". While they do a great job with this cover it does seem a strange song to cover for a band that isn't Scottish (since it's a song about feeling homesick for Scotland), and it doesn't fit the Country/Americana style either, so it does feel a bit out of place. This is an excellent debut EP, and I can't wait to hear their album when it comes out later this year.